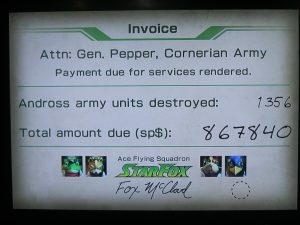 Defeated the campaign, watched end credits for Star Fox: Zero. Now I will admit this game has some redeeming qualities. But not a lot. The control scheme never agreed with me, there is just a lack of precision using the Wii U controller tilt and it’s not optional. With the levels themselves, I think they keep forgetting Star Fox is a rail shooter. Rail. Shooter. Why do they force you to use the Landmaster? Why are you forced to use the Walker so often? 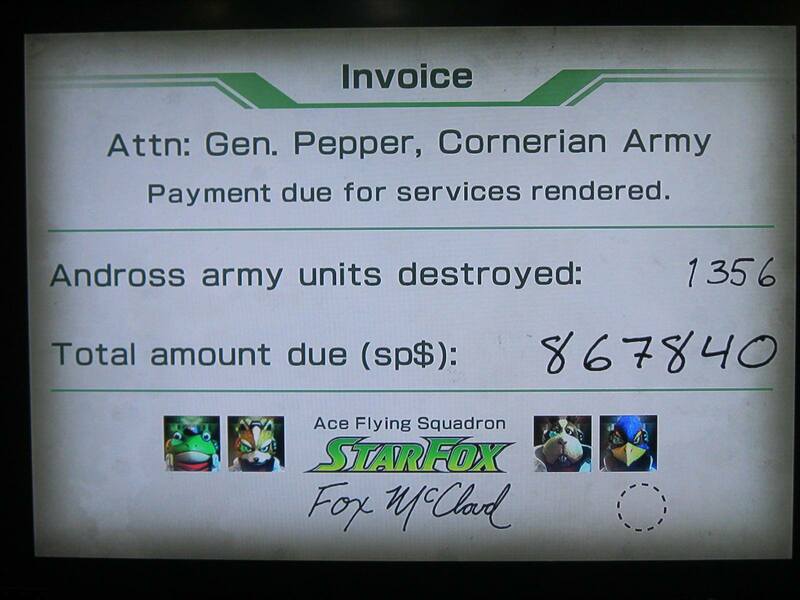 It’s Star Fox not Ground Fox. Nobody in the history of time has ever asked for this. On the bright side, I guess, once you beat it it tells you how much your team got paid, which is sort of amusing.